In the urban expanse of Makati City, a nano-township opens up with a new “co-lifestyle” concept, one where you can “co-work, co-play and co-live,” and puts a spotlight on a life of passion, purpose, practicality, and productivity. Eton WestEnd Square, a development by Eton Properties Philippines, Inc., is envisioned to become the co-lifestyle capital of the Philippines with its promising location for individuals and enterprises of all shapes and sizes seeking to create positive and meaningful impact. From forward-thinking tech and online companies, eco-friendly shops, social enterprises, to unique homegrown restaurants and other new enterprise concepts, Eton WestEnd Square enjoins individuals and businesses to be part of a prime property showcase of the new co-work, co-play, co-live standard. 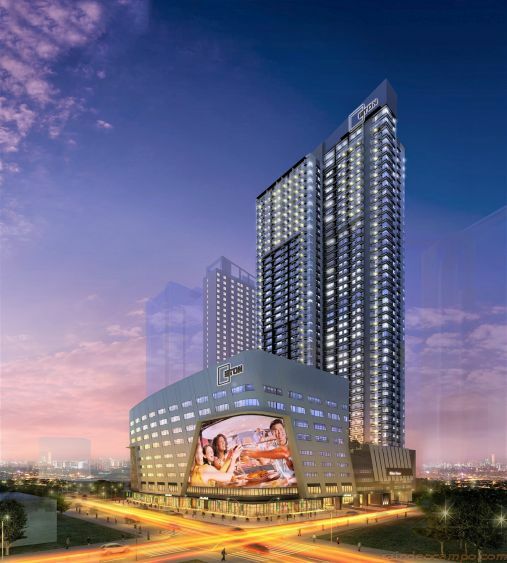 The development’s strategic location in West Makati offers a high-value business and commercial address while being distinct enough from the city’s known hustle and bustle. This mini-township is complete with features and amenities that support the sharing economy of the co-professional market. Located at the corner of Chino Roces Ave., Yakal, and Malugay streets, the development allows easy access to buses, taxi cabs, shuttle vans, jeepneys, and even tricycles just outside the gates. Eton WestEnd Square is home to a collaborative community where you can find the right market for a creative idea for a store, restaurant or find and grow a passionate workforce for a tech enterprise. Within the community is the eWestMall, two storeys of retail spaces that Eton Properties aims to transform into a co-play hub, featuring brands that gather and connect people through unique shopping and dining experiences as well as services. It is close to many of Makati’s upcoming villages and sought-after condominiums, assuring foot traffic from mid-to-upper class families and individuals. The development also houses eWestPod which offers four floors of sleek and elegant work spaces best-suited for BPOs, tech companies, and start-ups. The low-rise office building is outfitted with top-quality features and functionalities to ensure that businesses can foster 24/7 convergence and collaboration in every area of operation. With approximately 13,955 square meters for lease, companies can easily fit in any number of work stations and can look forward to expansion options in the future. All of these are just a walk away from Blakes Tower, a 36-floor mixed-use development that houses serviced apartments, a dormitory, and boutique offices. It will feature shared amenities such as breakout rooms and lounge areas per floor which offer respite from the structured small office and condo living or dormitory lifestyle. Designed for the modern nomad, Blakes Residences features amenity-filled serviced apartments that support business travelers’ connected, on-the-go lifestyles. Blakes Co-Living boasts of contemporary living spaces hinged on the unique co-living concept. From aesthetics to the services, these are shared living spaces with the millennial go-getter in mind. And to serve the growing number of start-up companies and SMEs in the country, Blakes Offices offers boutique offices and co-working areas that open doors to networking and collaboration. “At Eton WestEnd Square, community is king. With opportunities for leisure enjoyment, career pursuits, and quality residences in one mini-township, a self-sustaining and vibrant enclave emerges. Eton Properties aims to create a community that supports and drives all its members to grow and evolve; a lean mobility that encourages constant adaptation rather than hamper change; a grounding in reality that makes business strategy sound and achievable; a place intimate enough to be able to support every member in the way they need – as the best communities should,” says Martha Herrera-Subido, Eton’s AVP for Marketing, PR and Corporate Communications.